A crucial distinction made in Islamic theology is that between Dar al-Harb and Dar al-Islam. 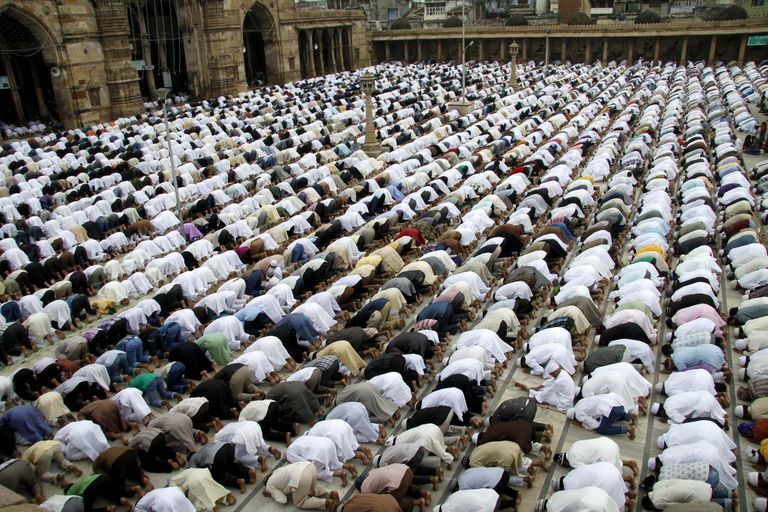 What do these terms mean and how does it influence and affect Muslim nations and extremists? These are important questions to ask and understand given the turbulent world we live in today. What Do Dar al-Harb and Dar al-Islam Mean? To put it simply, Dar al-Harb is understood as "territory of war or chaos." This is the name for the regions where Islam does not dominate and where divine will is not observed. It is, therefore, where continuing strife is the norm. By contrast, Dar al-Islam is a "territory of peace." This is the name for those territories where Islam does dominate and where submission to God is observed. It is where peace and tranquility reign. The distinction is not quite as simple as it may appear at first. For one thing, the division is regarded as legal rather than theological. Dar al-Harb is not separated from Dar al-Islam by things like the popularity of Islam or divine grace. Rather, it is separated by the nature of the governments which have control over a territory. A Muslim-majority nation not ruled by Islamic law is still Dar al-Harb. A Muslim-minority nation ruled by Islamic law could qualify as being part of Dar al-Islam. Wherever Muslims are in charge and enforce Islamic law, there is also Dar al-Islam. It doesn't matter so much what people believe or have faith in, what matters is how people behave. Islam is a religion focused more upon proper conduct (orthopraxy) than on proper beliefs and faith (orthodoxy). Islam is also a religion that has never had an ideological or theoretical place for a separation between the political and the religious spheres. In orthodox Islam, the two are fundamentally and necessarily linked. That's why this division between Dar al-Harb and Dar al-Islam is defined by political control rather than religious popularity. What is Meant by "Territory of War"? The nature of Dar al-Harb, which literally means "territory of war," needs to be explained in a bit more detail. For one thing, its identification as a region of war is based on the premise that strife and conflict are necessary consequences of people failing to follow God's will. In theory, at least, when everyone is consistent in their adherence to the rules set down by God, then peace and harmony will result. More importantly, perhaps, is the fact that "war" is also descriptive of the relationship between Dar al-Harb and Dar al-Islam. Muslims are expected to bring God's word and will to all of humanity and do so by force if absolutely necessary. Further, attempts by the regions in Dar al-Harb to resist or fight back must be met with a similar amount of force. While the general condition of conflict between the two may stem from the Islamic mission to convert, specific instances of warfare are believed to be due to the immoral and disordered nature of Dar al-Harb regions. The governments that control Dar al-Harb are technically not legitimate powers because they do not derive their authority from God. No matter what the actual political system is in any individual case, it is regarded as fundamentally and necessarily invalid. However, that doesn't mean that Islamic governments cannot enter into temporary peace treaties with them in order to facilitate things like commerce or even to protect Dar al-Islam from attack by other Dar al-Harb nations. This, at least, represents the basic theological position of Islam when it comes to the relations between Islamic lands in Dar al-Islam and the infidels in Dar al-Harb. Fortunately, not all Muslims actually act upon such premises in their normal relations with non-Muslims - otherwise, the world would probably be in a much worse state than it is. At the same time, these theories and ideas themselves have never actually been repudiated and dismissed as relics of the past. They remain just as authoritative and forceful as ever, even when they aren't being acted upon. This is, in fact, one of the most serious problems facing Islam and its ability to coexist peacefully with other cultures and religions. There continues to be too much "dead weight," ideas, and doctrines which really aren't so different from how other religions also acted in the past. Yet, other religions have by and large repudiated and abandoned these. Islam, however, hasn't done that yet. This creates serious dangers not only for non-Muslims but also for Muslims themselves. These dangers are a product of Islamic extremists who take those old ideas and doctrines much more literally and seriously than the average Muslim. For them, modern secular governments in the Middle East are not sufficiently Islamic to be considered a part of Dar al-Islam (remember, it doesn't matter what most people believe, but rather the existence of Islam as the guiding force of government and law). Therefore, it is incumbent upon them to use force in order to remove the infidels from power and restore Islamic governance to the population. This attitude is exacerbated by the belief that if any territory that was once a part of Dar al-Islam comes under the control of Dar al-Harb, then that represents an attack on Islam. It is, therefore, the obligation of all Muslims to fight in order to retrieve the lost land. This idea motivates the fanaticism not only in the opposition to secular Arab governments but also the very existence of the state of Israel. For extremists, Israel is an intrusion of Dar al-Harb upon territory that properly belongs to Dar al-Islam. As such, nothing short of restoring Islamic rule to the land is acceptable. Yes, people will die - including even Muslims, children, and various noncombatants. But the reality is that Muslim ethics is an ethics of duty, not consequences. Ethical behavior is that which is in accordance with God's rules and which obeys God's will. Unethical behavior is that which ignores or disobeys God. Terrible consequences may be unfortunate, but they cannot serve as a criterion for evaluating the behavior itself. Only when the behavior is explicitly condemned by God must a Muslim refrain from doing it. Of course, even then, clever re-interpretation can often provide extremists with a way to get what they want out of the text of the Qur'an.